Minnesotans doing better than Wisconsinites - Michigan Future Inc. Governor Walker and the Wisconsin state legislature have pursued a highly conservative agenda centered on cutting taxes, shrinking government, and weakening unions. In contrast, Minnesota under Governor Dayton has enacted a slate of progressive priorities: raising the minimum wage, strengthening safety net programs and labor standards, and boosting public investments in infrastructure and education, financed through higher taxes (largely on the wealthy). We have compared––as has the national media––the economic experience of California and Kansas who also have taken very different paths since the election of 2010. Closer to home, Minnesota and Wisconsin offer a similar real life experiment in how state economic policies effect residents’ economic well being. In employment, household income and wages Minnesotans have done better than Wisconsinites. From December 2010 to December 2017 EPI calculates that Minnesota experienced an 11.0 percent growth in total nonfarm employment, compared with 7.9 percent growth in Wisconsin. Median household income in Minnesota grew by 7.2 percent from 2010 to 2016. In Wisconsin, it grew by 5.1 percent. In an economy where real wage growth has been elusive, Minnesota has also outperformed Wisconsin. With real median hourly wages from 2010-2017 rising from $19.62 to $20.09 in Minnesota compared to $18.35 to $18.40 in Wisconsin. From 2010 to 2017, the median wage in Minnesota cumulatively rose 2.4 percent over and above inflation—meaning that middle-wage workers in Minnesota have had a measurable improvement in their living standards. Minnesota’s median wage growth was also stronger than the 1.6 percent the U.S. experienced as a whole over the same period. In contrast, from 2010 to 2017, the median wage in Wisconsin rose only 0.3 percent after inflation. In other words, middle-wage workers in Wisconsin are treading water, barely hanging on to the same buying power they had in 2010. Of course, state policy is not the only factor that determines economic well being. It probably is a relatively small factor. But that is not what we are told over and over again by business and political elites. Who have been pushing for decades the story that the places with the best economies are those that are following the Wisconsin and Kansas playbooks of low taxes, shrinking state government and weaker unions. What Minnesota and California demonstrate since the 2010 elections, at the very least, is that raising taxes,mainly on the wealthy; using the funds to make public investments in education and infrastructure and generally viewing active government as a way to improve economic well being does not lead to the predicted economic decline. In the case of Minnesota and California it has been a playbook that contributed to greater prosperity. Michigan Future has published two case studies on the Minnesota policy playbook over the last four decades. One on state policy entitled State Policies Matter. 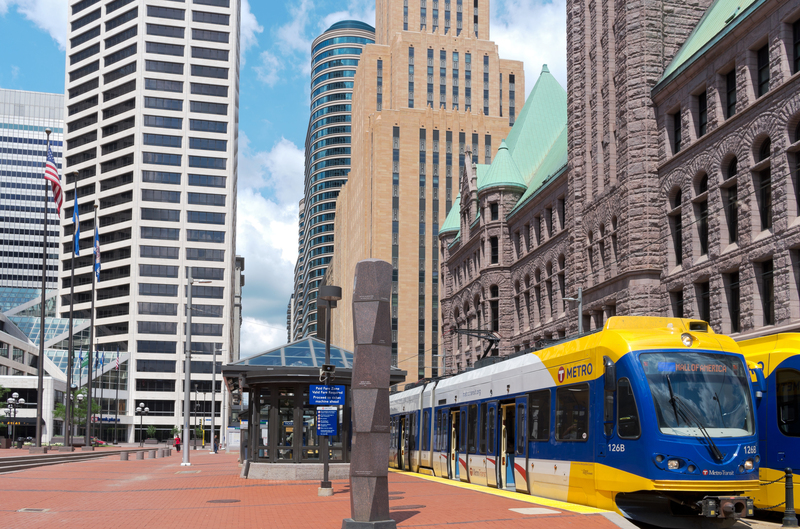 The other on the policies of metro Minneapolis entitled Regional Collaboration Matters. Both worth checking out. What stands out in each is the decision at both the state and regional level––on a bi-partisan basis––to make education attainment the centerpiece of economic policy. Not low taxes. That has mainly meant high standards and a high level of public investments in education from birth through college. It has also meant public investments in creating places where talent wants to live and work. Minnesota, not Wisconsin nor Kansas, is where Michigan should be looking for a state policy playbook that leads to rising household incomes for all.